Judges have declared that the verdict in the case against U.S.-Iranian citizen Amir Mirzai Hekmati is "not complete." Having been detained in Iran in August 2010, Kuma Reality Games designer and former U.S. Marine Amir Mirzai Hekmati was convicted of spying for the CIA and releasing propaganda through videogames by the Iranian Revolutionary Court in January of this year. The punishment for his crimes, by verdict of the Court, was to be death. In view of various criticisms brought against the case, however, Iran's Supreme Court has now overturned Hetkmati's death sentence after finding that his verdict is "not complete." This week judiciary spokesman Gholamhossein Mohseni-Ejei revealed the overturned verdict in a press conference in Tehran. According to the BBC, he gave the following brief statement: "There were objections to the verdict by the Supreme Court. The Supreme Court found shortcomings in the case and sent it for review by an affiliate court." While this doesn't mean that Hekmati can expect to be released from custody in the near future (the U.S. government has been calling for his release since last August, and continues to do so), the verdict is seen as being a step in the right direction. Additionally, Hekmati's mother was reportedly allowed to visit both her son and state officials in Iran last month. Some analysts see this move as a sign that the judges will take Hekmati's family situation into account going forward, in particular the future of his young daughter. The Supreme Court should further clarify its position soon. 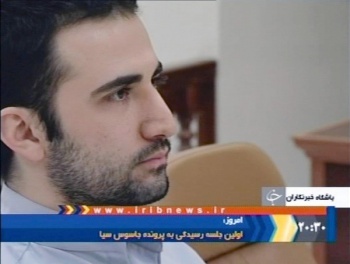 In the meantime, the U.S. will continue to apply diplomatic pressure for Hekmati's release. We'll keep an eye out for updates, but something tells me that Hekmati's family might be too busy at the moment to draft a formal statement for today's news.